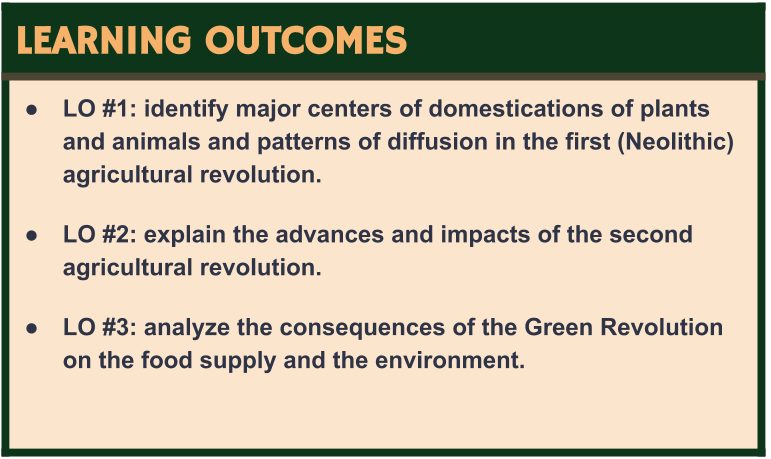 This unit covers the geographic hearths where domestication of plants and animals first occurred and the processes by which domesticated crops and animals spread. 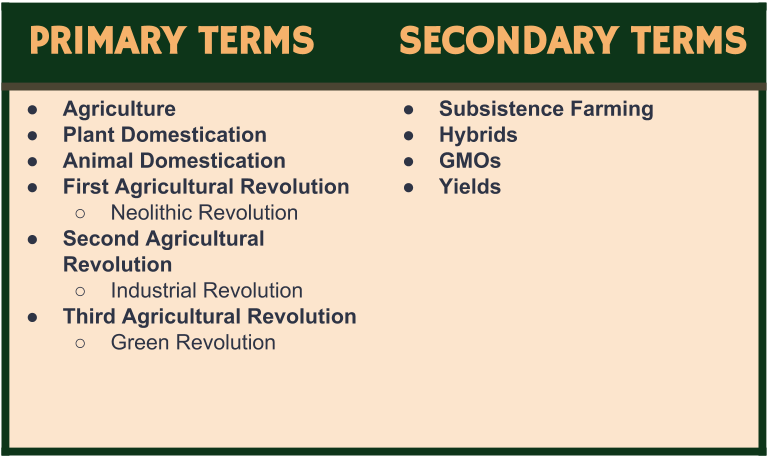 In addition, this unit will also examine the three influential agricultural revolutions that have occurred in the development of agriculture. 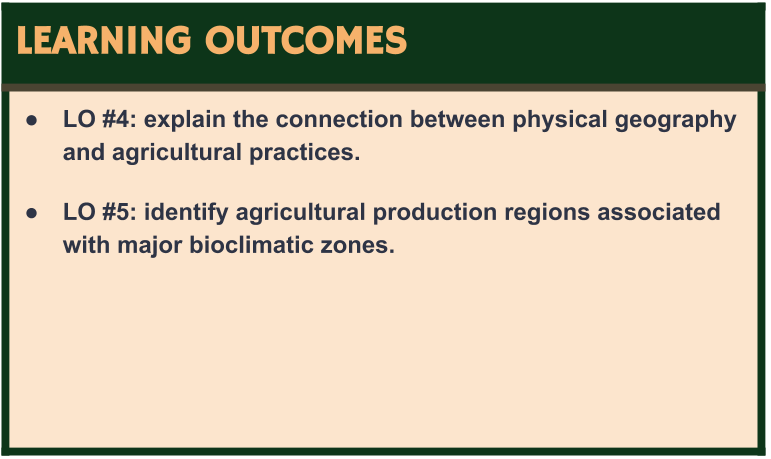 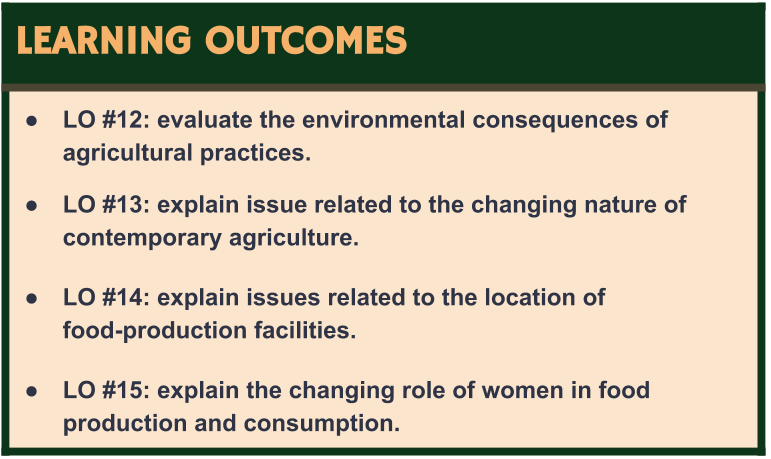 Students will be able to explain why distinct regional agricultural patterns emerge in terms of diet, energy use, and agricultural practice. 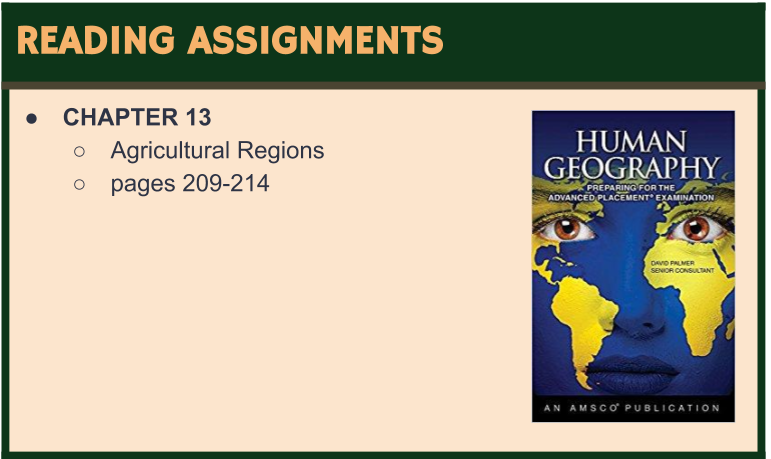 Furthermore, students will also examine production regions, settlement patterns, and landscapes that exemplify major agricultural types. 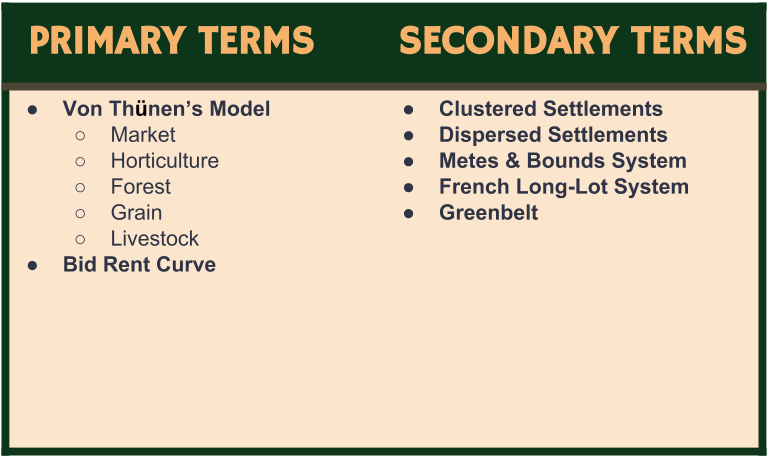 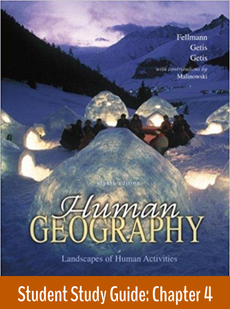 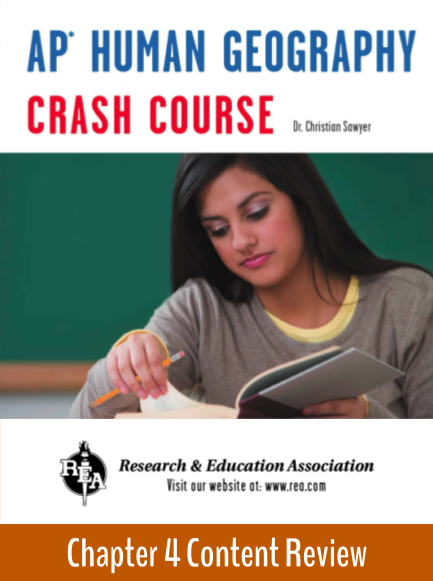 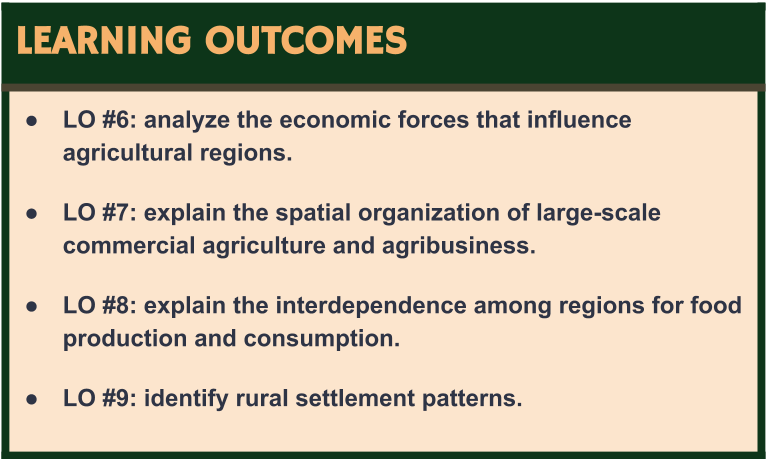 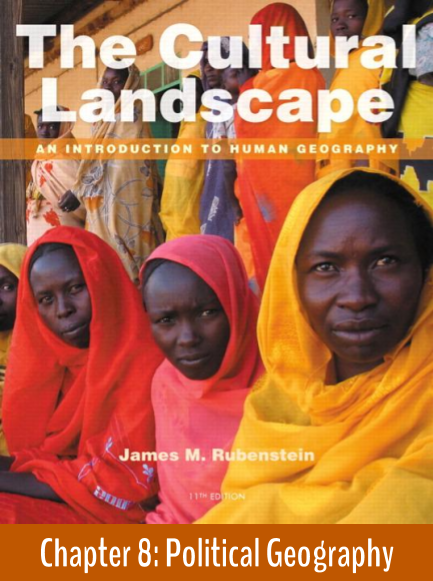 Students will learn theories and models to analyze patterns of rural land use. 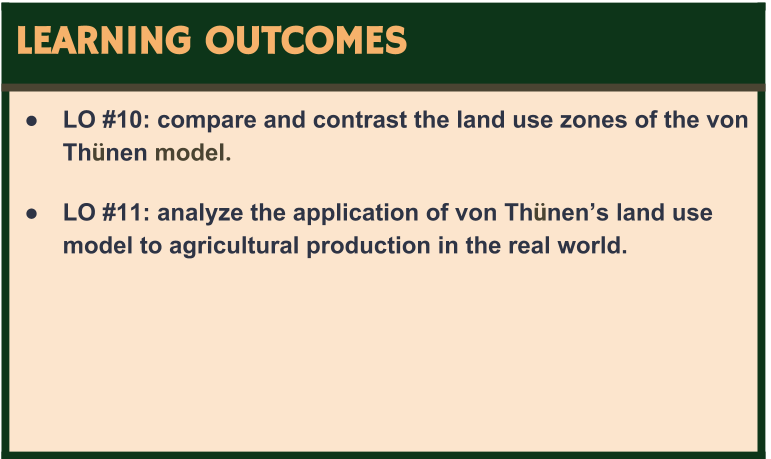 Finally, students will learn about large-scale agribusiness and its impact on environmental conditions, sustainability, global supply chains, and production and consumption. 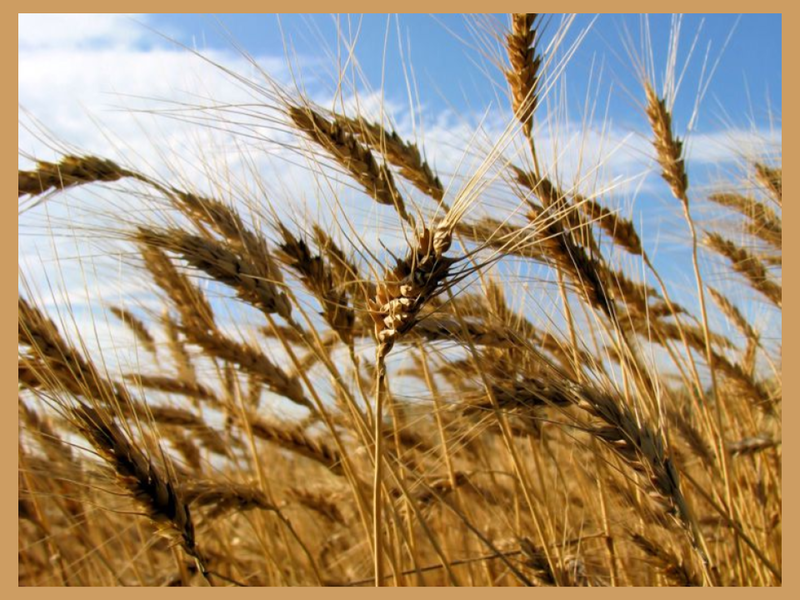 Wheat is a cereal grain that is grown on a larger area than any other crop. 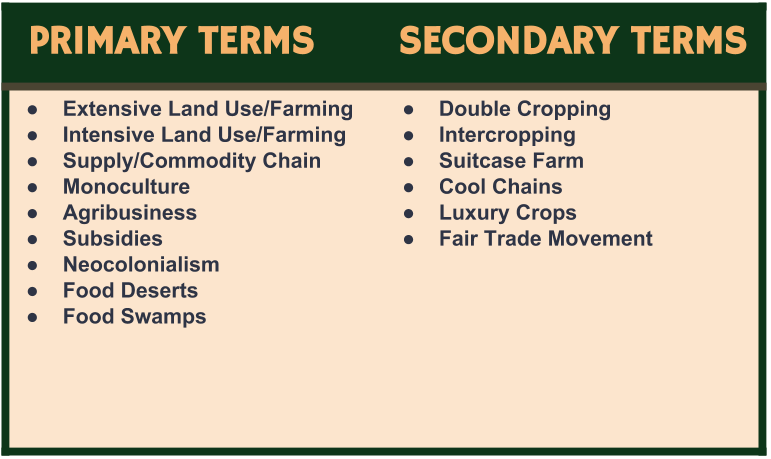 World trade with wheat is greater than for all other crops combined. 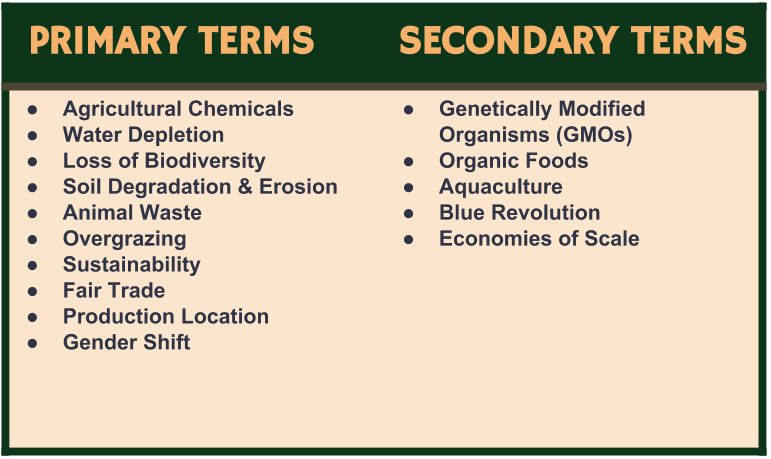 It is a major diet component because of its agronomic adaptability; wheat goes from near arctic regions to the equator. 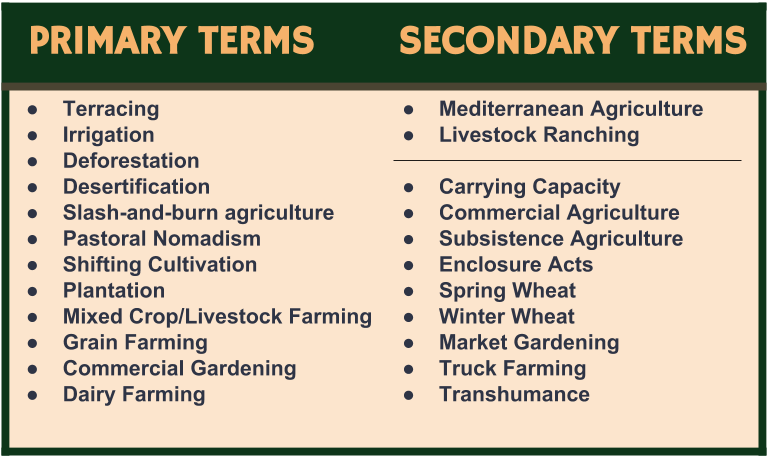 Wheat is the most important source of carbohydrates in a majority of countries.